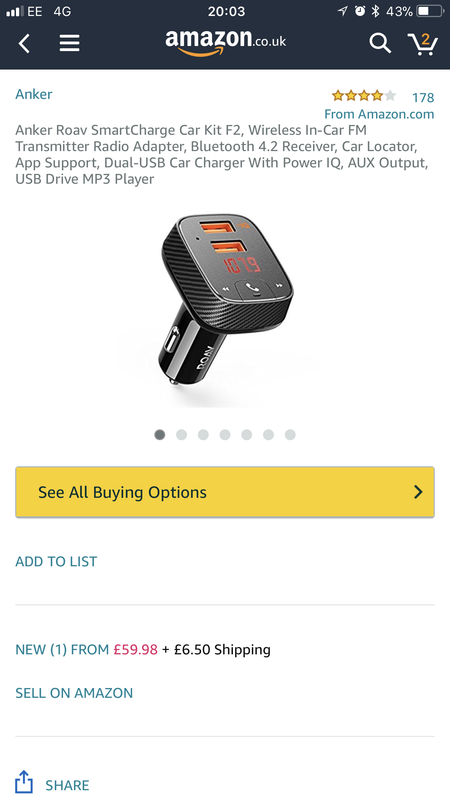 I’m checking daily for the Roav SmartCharge Car Kit F2 to arrive in the UK. I’ve been driving my dads car because he’s in hospital but it’s a 2004 and has zero Bluetooth connectivity so really need this to get here soon. So I’ve just seen this. 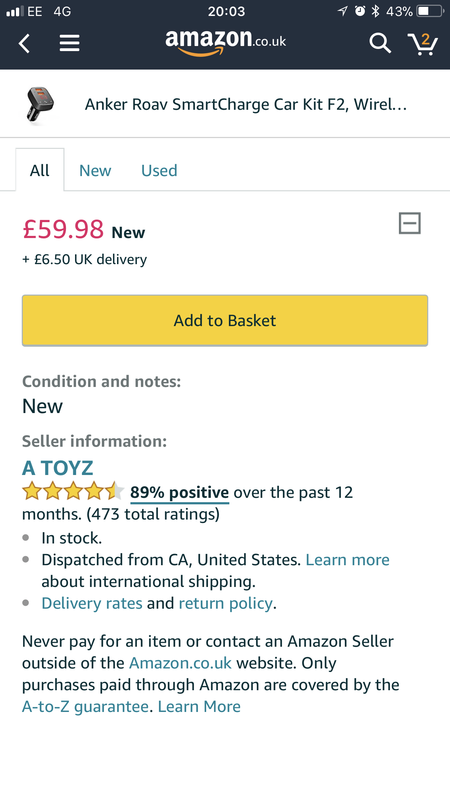 Is this going to be the price or is someone just trying to get a few sold before Anker get there UK sales set up? That’s what I was thinking they’d be. So when I saw this I had a bit of a shock lol. I have seen it get down to 18 but I didn't order it then and I wish I had. My wife's car has fafactory navigation but no bluetooth and she won't let me change the radio so she needs this badly. 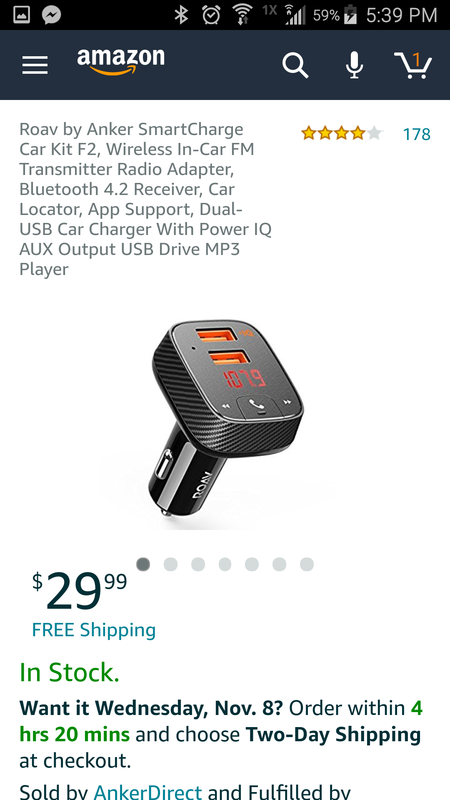 Looks over priced considering Anker's usual price ranges. It is likely to be opened to the UK market in the next year. It's very hard to watch others having fun and not able to join in. It did cross my mind. What would postage be on something like that? Would there be extra fees? I'll have a look when I get to work. My very good friend live in Maryland. Been out there 5 years now. I miss him been friends for 40 years. Is it because of certifications that it is so long to reach the Uk and FR markets? You too buddy. I couldn’t do nights. When I was 16, I worked nights in a motor rewiring engineering firm. We would have overnight rush jobs come in. sleep lol. Only time I ever liked nights.